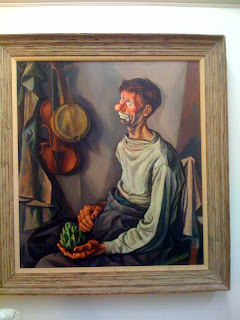 asleep), with drapery, musical instruments, holding an artichoke. That's very very funny. I want it.